Banking on our enriched industry experience, we are able to supply Ace St 12xw crane. We are leader in the supply of cranes spares parts in India as well as in outside the india. Our ACE 14 ton Mobile Crane is ready for Heavy Duty transmission developed specially for crane application. We supply a comprehensive range of top quality Mobile Cranes. 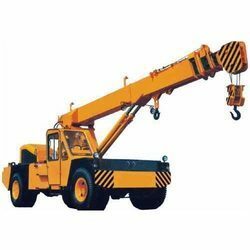 We ensure that these cranes are specially procured from the renowned manufacturers and suppliers, which include Escorts, Ace, Voltas and Omega. Our mobile cranes are highly recommended for services in pick and carry for various purposes. And they have the capacity ranging from 8 tones to 20 tones. 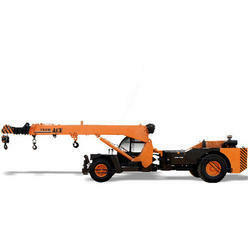 Hydra crane Escorts F15 is available for sale or rent/hire aMaximum Capacity 14 MT Maximum High 60 Feet 15 Ton Hydraulic Crane is widely used in industrial and construction sectors for loading, unloading and erection purposes. You can find Ace 12XW, FX120, JCB LiftallAs well on the same portal.